The Ed Brougham Club Award was established in 1997 to honour the tremendous contribution made to Gymnastics by Ed Brougham. The criteria used for selecting the winning club reflect the principles which guided Ed’s leadership in gymnastics. A former G.O. and G.C.G. Board Member and President, Ed worked his way up through the gymnastics system, working tirelessly in a wide variety of roles, collecting many awards and accolades along the way. Ed finally retired from gymnastics in 1999, and sadly passed away in 2002; he is greatly missed by everyone in the gymnastics community who worked with him. Promotion of Gymnastics outside the club – e.g., successful solicitation of media coverage for events, brochure distribution, mall/school demonstrations, etc. Participation in local municipal events such as sports days, parades, festivals, etc. Club submissions should be accompanied by a summary of the club’s activities over the past membership year (e.g., July to June), with particular attention paid to Events Hosted, Participation Increase by the club, and Promotion of Gymnastics outside the club. The new “2016 Ed Brougham Club of the Year Nomination Form” must be completed and must form part of the nomination submission. The recipient club will be presented with a commemorative plaque and banner at the G.O. Annual Awards Banquet. The recipient Club’s name will also be engraved on the Ed Brougham Memorial Plaque which hangs permanently in the G.O. Office. Recipients will receive two complimentary tickets to the Awards Banquet, and photos may be posted on the G.O. 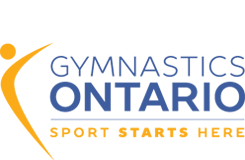 website Recipients will be notified by Gymnastics Ontario a minimum of 30 days prior to the Awards Banquet in order to confirm attendance. Awards not presented at the Awards Banquet will be sent to the recipient by mail. 2001 Schlegels Gymnastics Centre Inc.